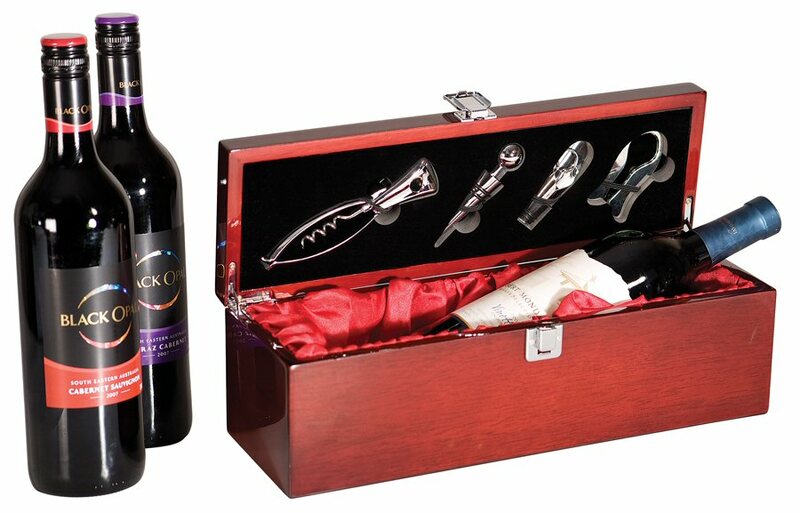 Rosewood piano finish single wine presentation box with tools (cutter, stoppers, and opener). 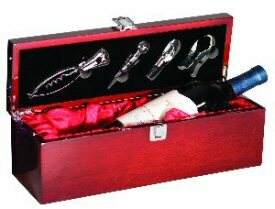 Free personalize to the lid of the box with silver engraving into the wood. Wine bottle is not included.